Puzzles made from high quality wood are not only challenging to solve, they also are works of art. Coffin is clearly a master of the wood tools and in this book he describes some of his most imaginative creations. He deliberately does not give detailed shop-style drawings of the puzzles; he leaves the understanding of the mode of their creation to the interested reader. My perspective is that of someone interested in the mental challenge of puzzles, I am completely lacking in the ability to create fine structures from wood. Nevertheless, I was intrigued by his explanations of the woodworking tactics used to create the puzzles. The enormous breadth of the puzzles is something that will fascinate both the woodworker as well as the puzzle aficionado. Most of the puzzles are complex three-dimensional structures made up of interconnected parts where a few are key to maintaining the integrity of the structure. The puzzles go both directions, from the pieces to the whole and from the whole down to the pieces. In page after page he demonstrates puzzles and often points out that children generally are able to (de)construct them. It is a rare occasion when a book is written that can appeal just as much to the master woodworker as it can to the mathematician. This is such a case; teachers of mathematics from elementary through advanced college will find many educational tools in this book. Nothing could please me more than to find one of these puzzles in my Christmas stocking. Book is well written.Theories are great.I would have prefered more instruction on making the puzzles rather than just the theory. 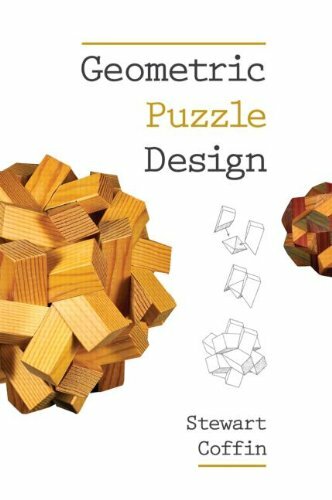 This book covers a large number of puzzle designs, most due to the author.Most of these puzzles have become sought-after classics.The puzzles are mostly 3D interlocking burrs, but there also included are 2D designs, sliding block puzzles, and non-interlocking 3D puzzles.The author also talks about how to build puzzles, characteristics of wood, etc. I am not a puzzle builder, but enjoyed the book immesely.The author is an excellent writer and his musings about symmetry and general design considerations I found fascinating.Solutions in general are lacking and much is left to the ingenuity of the reader to keep the mystery of solving these puzzles fresh. Although you can download the OLD EDITION of this book, I enjoy the physical copy for perusal.Highly recommended.Look for the old edition under the title "The Puzzling World of Polyhedral Dissections". A "must-have" for intermediate to advanced woodworkers seeking to create truly brain-teasing gifts. It defies logic! At least, that's what puzzle-doers will think as they work their way through this largest-ever compendium of geometric conundrums. When you look at these images--some classic, others never-before published--you'll have a hard time believing what the captions say about their size, shape, or other geometric aspect. For example, two tables appear radically different to the naked eye--but they're actually identical in size and shape. It's all a matter of perspective and perception. Each puzzle is eye-opening. (Note, I originally gave this 3 stars but now would call it 2, although the system won't let me change that. See Edit note at the end.) 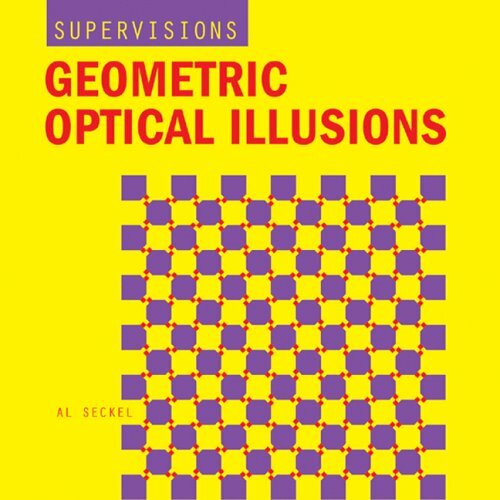 The book contains about 90 or so optical illusions. The illusions are mainly along the lines of things that look curved when they are actually straight, things like look different sizes when they are a really the same size if you measure them, and similar. Many of these illusions will be like ones you've seen before if you are into this sort of thing, but there are some new variations I hadn't run across before. 1. There's not a single word of explanation in the entire book as to *why* the illusion occurs and why the eye is fooled. According to the "about the author" page, the author is "the world's leading authority of visual and other types of sensory illusions". Given that, I would've hoped for at least a little bit of explanation or discussion of the illusions. Instead, you get just the photos, each accompanied by one or two sentences along the lines of "Does the one thing look larger than the other? Check your answer." 2. Many of the illusions are just very small variations on the exact same illusion, rather than being something new and different as I had hoped. Overall, certainly not a worthless book and quite pretty. But probably a lot more interesting to someone who's never seen these types of illusions at all before (or to a child) than to any adult who has any previous familiarity with the topic. Edit: Also, there is at least one of what appears to be an out and out mistake. One page shows what is supposed to be the "Wundt Illusion". It pictures two seemingly identical profile views of the drawing of a woman's head and torso, and asks "Does the figure on the left appear to be smaller than the figure on the right?". Well, the answer is "No, they appear to be the same size and they actually are the same size when measured." Not only that, but even if they appeared to be different this wouldn't be an example of what is normally called the "Wundt" illusion (I looked it up), which has to do with lines looking bowed when they are really straight. Yikes, make that 2 errors so far. One page asks "Do all 3 squares appear to be the same size?" Well, the answer is "Yes, they do (and they are when measured) and they also aren't squares- they are clearly rectangles (both in perception and when measured." For mistakes/ poor editing, I would call this a 2 instead of a 3 if I was able to change the # of stars. 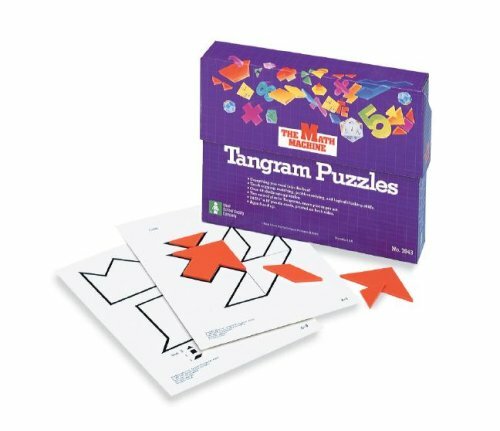 8.5" x 11" double-sided puzzle cards. Great for small group instruction. My 9-year-old son and I had tremendous fun assembling the models in this kit. Each of the models in the kit contains an adaptation of Escher's periodic design in a way that the geometric solid is continously covered with it. Through a unique personal experience, my son learned what tetrahedron, octahedron, dodecahedron, cuboctahedron and kaleidocycle look like. This is the best project we ever worked on. Want to get your kids or students interested in math?Let them put together a geometric solid covered with interlocking trolls or other tesselated designs, then hang them from the playroom ceiling! Your kids will never get over it! This is the bet presentation and best manufactured kaleidocycles that I had bought. Sent in a very good and fast way. 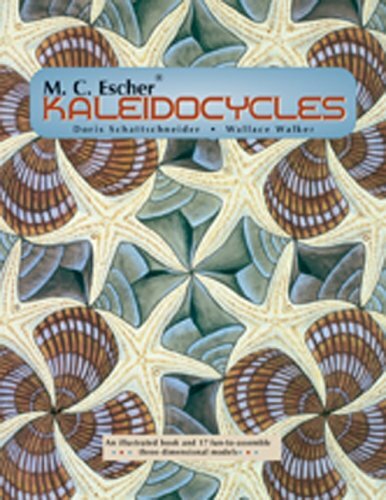 If you are as fascinated with the graphics of Escher as I am; you'll be entertained,amazed and engrossed with this 'kit' which allows you to assemble and hold these wonderful models of intrigueing mathematics , coupled with the graphic art and figures of the master himself; M.C.Escher. One of the other reviewers talked about creating additional models; and that is obviously possible ,because there is all the information needed to do that; right here in the book. "Polyhedron Models" by Magnus Wenninger .This is an outstanding book covering the subject as well as 119 models. The man I was visiting ,had the book and even knew its author. This book deals with models whose surfaces are flat and made of cardboard or if desired ,other materials. To see what these fascinating models look like, look them up on the net under "Magnus Wenninger". The man I visited constructs similar models;but uses only wooden balls and sticks. Think of those chemistry models of compounds,and you can imagine how beautiful and interesting they can be. All models begin with one of the known uniform polyhedra and from them the stellated models are formed. The variations are in the many millions. Anyone who has much interest in this sort of stuff will find an excellent chapter ,Polyhedra,in "Mathematical Recreations and Essays" by W.W. Rouse Ball,a real classic in the subject of Mathematical Recreations. The man I went to visit has been working on these models for many,many years. He has created his own techniques and even an intrigueing appratus to make the holes in the balls. The exactness is so critical,that making them by hand would be terribly difficult. To date he has made about 500 0f these ball and stick models. So, after my visit,it was a real joy to sit down and construct some models. This book contains the complete texts of the two classic Gardner productions, Aha! 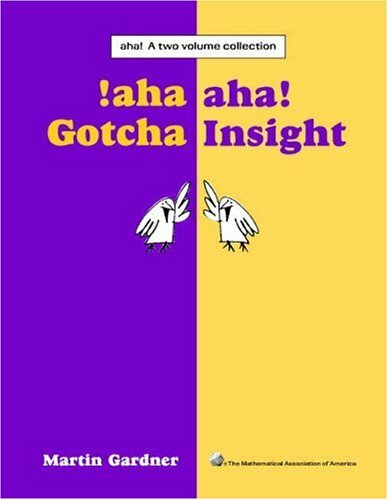 Gotcha and Aha! Insight. If you have not read both of these books, then you are mathematically deprived, as they contain some of the best mathematical puzzles ever created. Many people in the business world tout the concept of "lateral thinking", which is a way to approach problems by attacking them from unusual and non-obvious directions. That is certainly the way to approach the problems in this collection, and the benefit to the reader is a good deal more than the solution to a problem. You cannot help but learn some mathematics. The title of the second book is an accurate reflection of the consequences of solving these problems. When the solution is presented, the very demonstration gives you some significant insight into how problems are solved in general, as well as the specifics of math problems. Many of the puzzles have applications to the problems that occur in real life, such as how housework should be divided between two people to minimize the frustrations. Martin Gardner has done more than anyone else to advance the general interest in mathematics and you can see why when you read each problem in this combined collection. He is a master at making the complex simple and disguising the simple as complex. Twelfth edition of classic work offers scores of stimulating, mind-expanding games and puzzles: arithmetical and geometrical problems, chessboard recreations, magic squares, map-coloring problems, cryptography and cryptanalysis, much more. 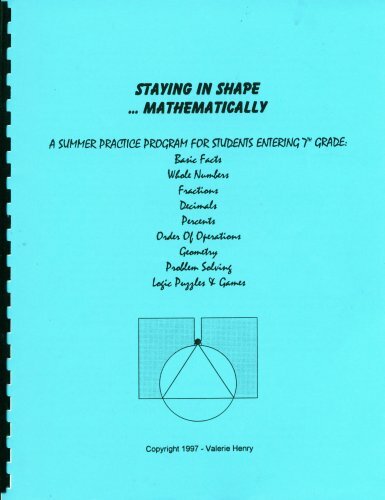 "A must to add to your mathematics library" — The Mathematics Teacher. Index. References for Further Study. 150 black-and-white line illustrations. 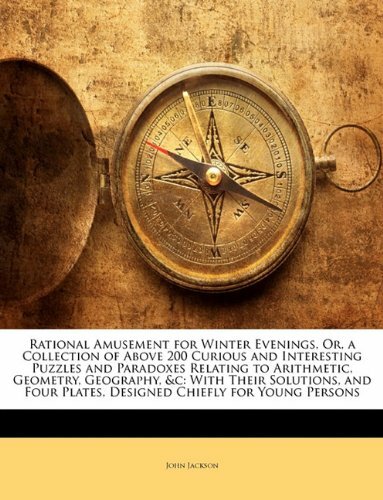 Any fan of mathematical puzzles will go ape over this thoroughly researched, timeless classic. Even for jaded scientists in their forties (such as me) and beyond, there's always some new gem to be discovered at the turn of a page. The scope of the book is immense, ranging from all manner of "classical" recreations to the puzzles of antiquity (e.g., squaring the circle) to the history of pi to the structure and functionality of the kaleidoscope. It's all here! Must have for any recreational mathematician. 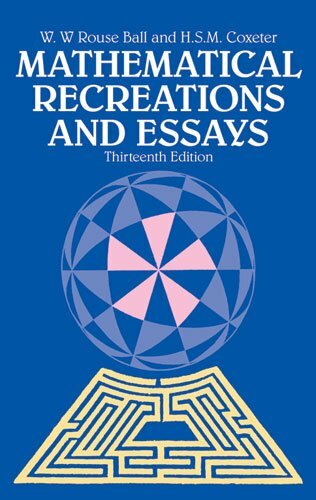 This is a classic collection of mathematical recreations.Originallywritten by W.W. Rouse Ball around 1900, this edition has been updated bythe great geometer H.S.M. Coxeter.It is a comprehensive first source forinformation about magic squares, Platonic and Archimedian solids,"Knight's Tours" and other chessboard recreations, and just aboutany other variety of math-related puzzle you could name. 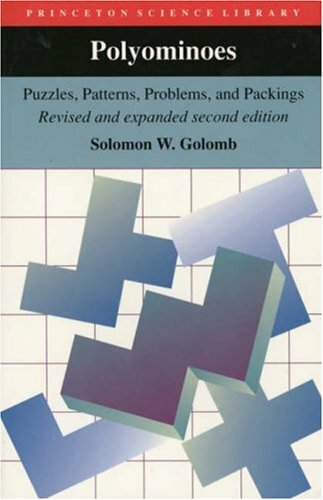 Ultimate book on polyominoes by the inventor. is provided. Another one for the bookshelf of all mathematical puzzlers. One of the most eagerly anticipated second editions in the history of mathematics, the wait was worth it. Literally defining a whole new area of recreational mathematics, the problems and proof techniques introduced inthe first edition have kept an entire generation of mathematical thinkersbusy. Although easily understood, some of the problems have defied solutionfor decades after the publication of the first edition in 1965. It nowappears that all of the problems listed as unsolved in the first editionhave been resolved, the last succumbing in 1993. As befits the enormousinterest in these problems, three people announced solutionssimultaneously, this reviewer being one of them. 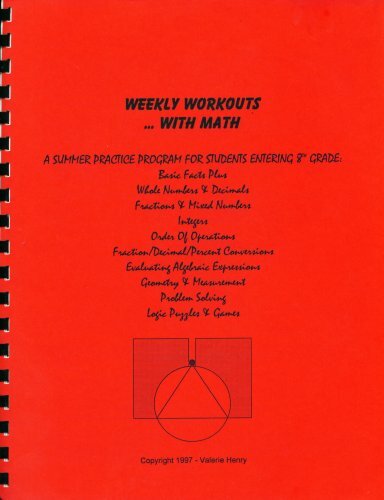 While there is not alot of material that was not part of the first book, it still stirs themathematical heart. For these problems and proofs are timeless things ofbeauty. Even a child can understand how to put polyominoes together - mytwo-year-old daughter is an existence proof of that. And the proofs aresometimes so clever in their simplicity that one is tempted to use thephrase attributed to Paul Erdos, "That one is from God's little book." Whoamong us fails to appreciate some of the proofs of placing pentominoes on acheckerboard that relies on nothing more than the number of spaces coloredblack versus red. Even the proofs of the problems that took decades toresolve can be understood by those with only a rudimentary knowledge ofmathematics. Sometimes, if you can count to 60, you can understand theproof. 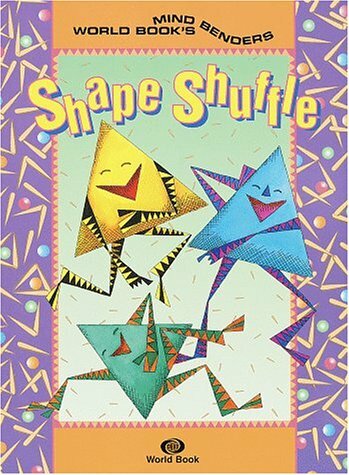 Truly a jewel in the crown of mathematical royalty, this bookdeserves to be a runaway bestseller. 20. 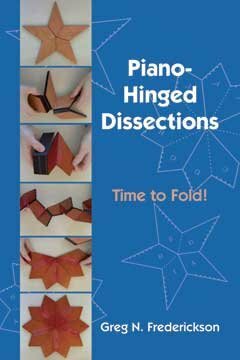 Piano-hinged Dissections: Time to Fold! 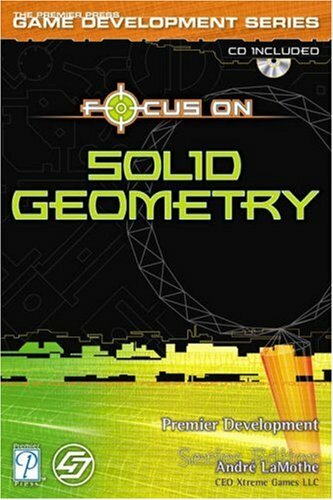 While the dissection of a geometric object is generally easy to follow after the fact, the dissections in this book at times are very difficult to understand. A piano hinge dissection is one where a hinge runs the full length of a joint. The analogy is to the hinge that allows the top of a grand piano to be opened although in this case the hinge can allow the two pieces to be folded in either of the two directions. Add in multiple hinges and the potential for the pieces to overlap and the additional degrees of freedom can make for a complicated structure. I often found myself wondering how the dissection had been discovered. While Frederickson uses very detailed and multiple diagrams with different styles of hashing of the lines to describe the dissections in the book, they are often hard to follow. That is not meant to be a criticism; much of the difficulty is due to the complexity and originality of the dissections. A good deal of this is solved by the videos on the CD that accompanies the book. In them, Frederickson uses paper and wooden models to illustrate the folding that allows you to transform one figure into another. Seeing the transformation by executing one active fold after another makes it so much clearer. Quite honestly, I am not sure if I would have completely grasped some of the more complex transformations without the video. The use of one or more piano hinges in a dissection creates a significantly higher level of complexity. However, in complexity there is joy and while I had difficulty in the explanations, the wonder of seeing it work made the time of difficulty well spent.